The Canary Islands are a beautiful spot to vacation. With 7 islands to choose from though it can be hard to know what to do, where, and when. Have no fear, Bohemian Travelers are here to try and organize the whole thing for you, well at least some of it anyway. The islands are a major European tourist destination so for starters do not wait to do your research. If you are looking for a luxury last minute holiday to Lanzarote you may not get as much choice as you would have had you settled on the trip months in advance. Try and pick a time of year that is not as popular, you may lose out on a few shops being open but in the long run you can save money and be assured you get exactly what you are looking for. If money is no object then your best bet would be to travel around by boat exploring each and every island but since that is not the case for most people I will break down each island a bit. There are, of course, many smaller islands you can explore but for time sake this is just the 7 main islands. Grand Canaria - The most populated of the Spanish island chain and 3rd largest. In the North you will find it is mountainous and green while the South is arid and flat. 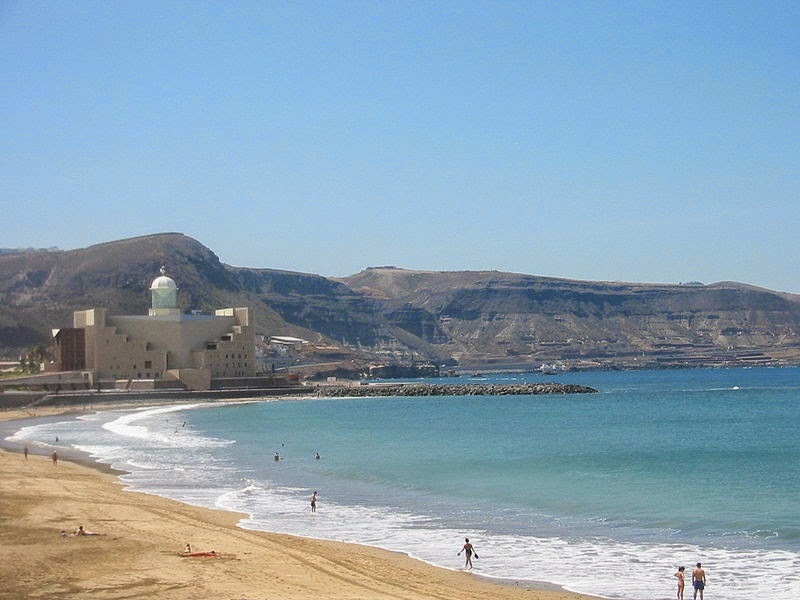 The largest city, Las Palmas, is also located here. This is the island for you if you want a little bit of everything It carries a nickname of "continent in miniature" because it is so diverse in its offerings. Tenerife - This is the island for you if you love history! Tenerife, while being one of the younger island, has a rich history that can be enjoyed at one of many of the islands museums. 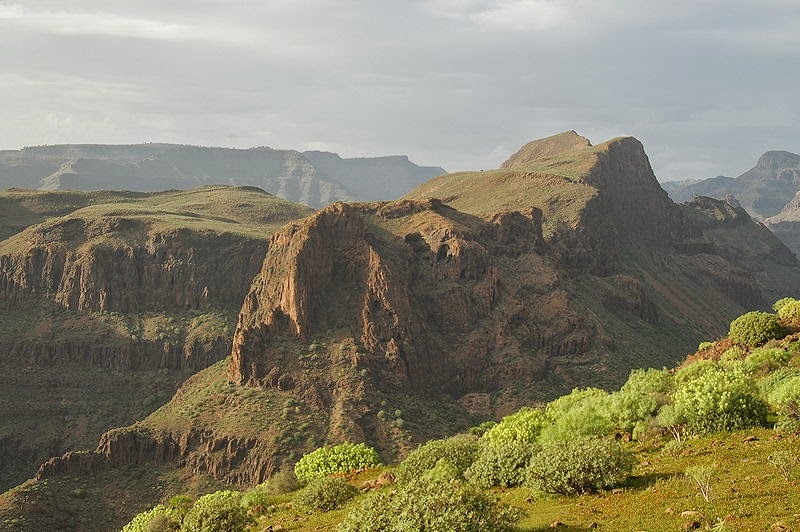 It is also the largest of all the canary islands. You can enjoy the flora, beaches, deserts, and mountains by day and party with the exciting night life after the sun goes down. There is no shortage of things to do from beautiful scenic drives, mountain biking, hiking and diving deep in the warm waters surrounding the island. La Gomera - The closest island to Tenerife, La Gomera is known as the magic isle. Most famous for being a walkers paradise it seems to be a fascinating little island with deep ravines and interesting communication styles between them. La Gomera is also a foodie heaven and even has a distinctive wine all its own. Walking, mountain biking, and even whale watching can be enjoyed year round as well. Note: a wildfire destroyed 3000 hectares in 2012 and it is estimated that it will be decades before it is regrown.Fuerteventure - If windsurfing is your thing then this is the island for you! There are also beautiful beaches and an untouched volcanic feel, although plenty is set up for tourism as well. Lanzarote - An arid and low lying island perfect for those who love a volcanic landscape. Think Big Island of Hawaii. Here you can enjoy beaches, surfing, and diving but the real draw is the National Park and all things volcanic! El Hierro - Known as the Meridian island, El Hierro is the smallest of the main islands. It was actually considered to be the end of the world at one point in history. The entire island is a biosphere reserve so protected completely meaning no camping, fishing (so great scuba diving with abundant sea life), or even collecting fruits. Perhaps not the best island to bring children to. If you want to relax and connect with nature this would be your best bet although I think after a few days you might be ready to move on. La Palma - The countryside here, including the volcanic landscape are what set this island apart from the others. 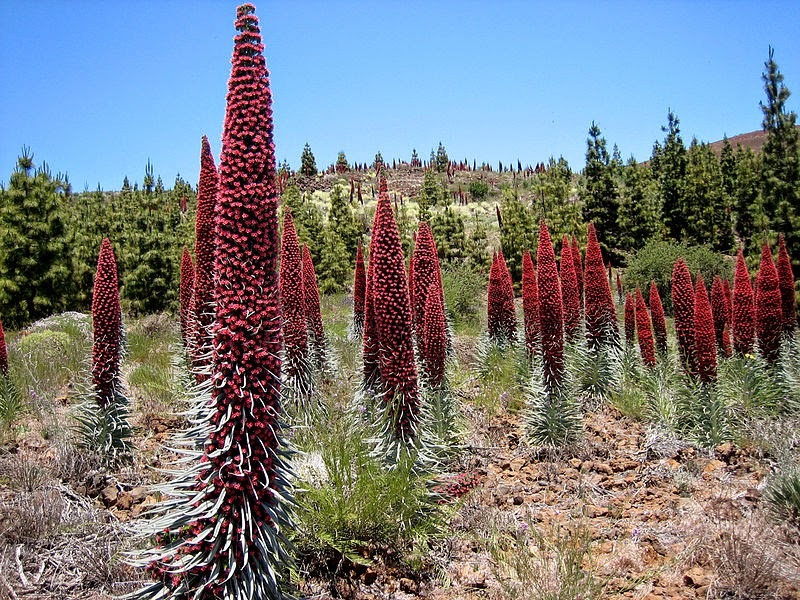 They are all beautiful in their own way but La Palma is literally nicknamed, the beautiful island. 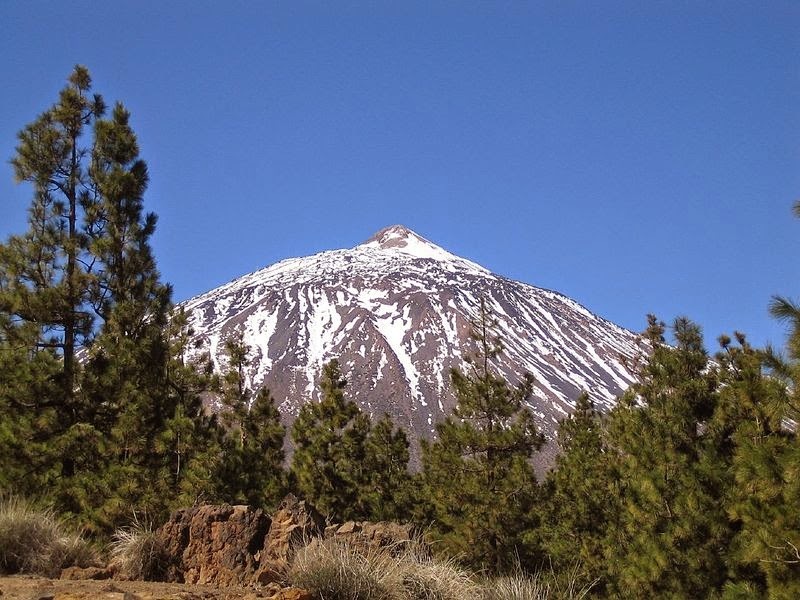 There are some great walking paths including a tunnel route, volcano navigation, and an 8000 foot mountain you can climb, although the summit can also be reached by car. To get to any of the islands you will need to arrive by plane, or ferry from the mainland of Portugal but the ferry route takes roughly 45 hours. Once there you can travel around the islands by car or taxi On Tenerife there is a train linking Santa Cruz with La Laguna but other than that there are no trains. Buses can tour you through the countryside and ferries run between most islands. The ferries are a safe and economical way to travel between islands. You can also take yacht tours but that is, of course, more expensive. If boats are not your thing, or you get sea sick at the thought of it you can also travel by air between the islands. The Canary Islands are a gastronomes delight. The food on the islands is most commonly likened to being a mixture of Spanish, Latin, and African cuisines. While you are there be sure to enjoy the local fresh fish, tapas, gofio, palm honey, and arepas, and then you can wash it all down with some amazing local wine, rum, or beer. For more insight into the local cuisine head over here. Most of the inhabitants of the islands speak either Spanish or Portuguese with each island having a slightly different dialect. It is also felt that overall the Spanish is more similar to that in Central America rather than the Castililan regularly heard in Spain. Having some Spanish knowledge would be helpful as not all locals, including bus drivers, know much English. It is certainly not necessary though. You will find that the islands are very modernized so unless you plan to spend time in very rural areas for extended periods you should be able to buy anything you may have forgotten to bring with you. What would you add to a Canary Island guide? Help us out and add your tips in the comments below!